Still going through my email backlog, here we have some photos that Bruce from Radio Noir sent me way back in December last year. They are of a portable harmonium that dates back to WW2, and is still in use. 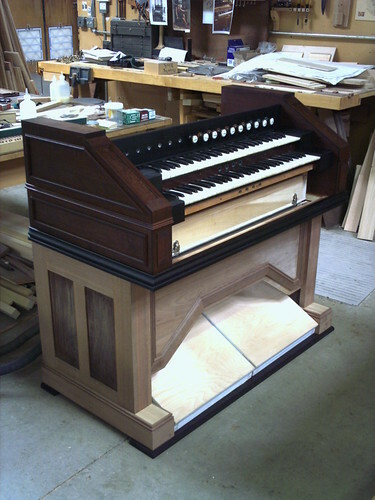 Janko Harmonium Organ, originally uploaded by Ragtimer1. 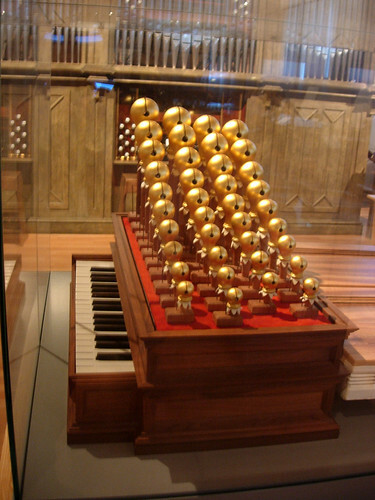 This is a Janko keyboard on a harmonium. To its right is a piano with both Janko and standard keyboards. These are in Vienna's Technical Museum. Francoise, originally uploaded by ofacteur. Ok, I'm trying to catching up on a bucket load of email. Dean wrote to me way back in February as he's building a two manual French style harmonium using original Esteve reeds. He has a whole set of photos on Flickr for our perusal. Click the photo and it should take you there. Regal Apples, originally uploaded by Ragtimer1. Here's another shot, from a different angle. 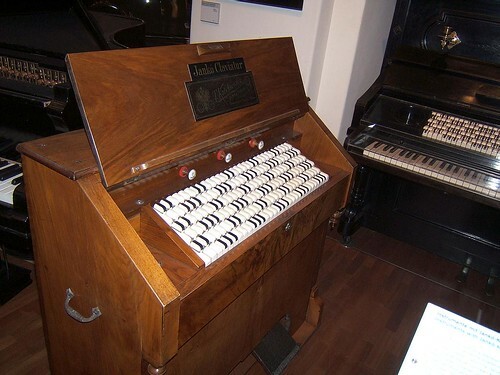 Early free reed organ, originally uploaded by Boilermonster. I believe that this is an Apfelregal, an early portable reed organ. 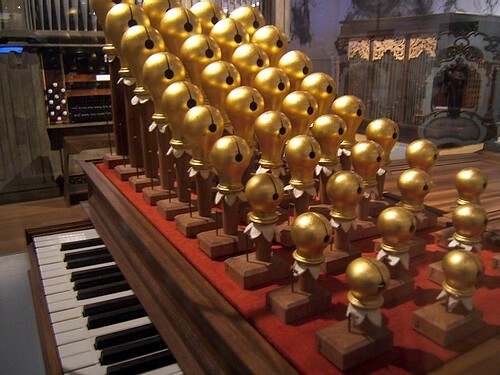 The globular resonators give a more mellow tone than the raw reeds of simpler regals. That was reconstructed from ancient models for Vienna's Technical Museum.